Office Update specialise in creating outstanding flexible modular reception units to suit any space and designed to welcome your clients. 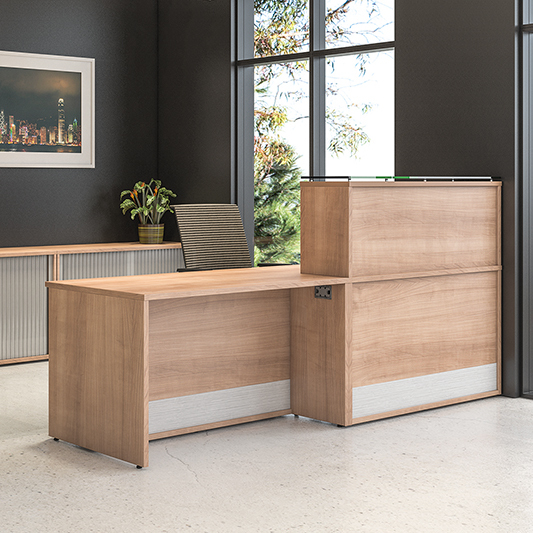 With a choice of numerous base units, counter tops, shelves and storage units we believe our range of office reception furniture is the most comprehensive modular range available. Disabled access base units are an important addition to any reception area. Soft seating and coffee tables to compliment your reception area to add that finishing touch – first impressions count.